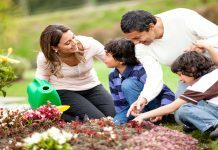 As part of Consumer Energy Alliance’s (CEA) Solar Energy Future campaign, the organization today released a new report, “Incentivizing Solar Energy: An In-Depth Analysis of U.S. 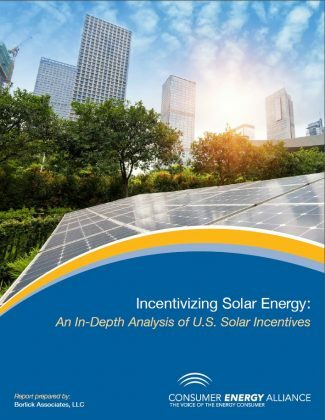 Solar Incentives,” that provides a comprehensive quantification of solar incentives available for U.S. energy consumers. The report analyzes the cost for a typical solar facility in 15 states and details the federal, state, and local incentives available for rooftop solar photovoltaic (PV). No previous analysis has ever quantified this data. 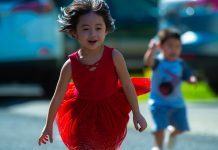 The report also found that government incentives, combined with utility offered incentives, have reduced residential customers’ net costs of installing rooftop solar systems to record-low levels. These reductions are now so significant that, in many states, total incentives are greater than a solar system’s total costs. In light of these dramatic cost reductions, many states are re-examining the scope and methods surrounding their incentive programs and are now considering programs that rely more on a competitive marketplace to provide the economically optimal levels of rooftop solar adoption. 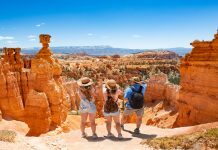 The report analyzed the incentives for solar in a cross section of states including Arizona, California, Connecticut, Florida, Georgia, Illinois, Louisiana, Maine, Massachusetts, Michigan, Minnesota, Nevada, New Hampshire, New Jersey, and North Carolina. 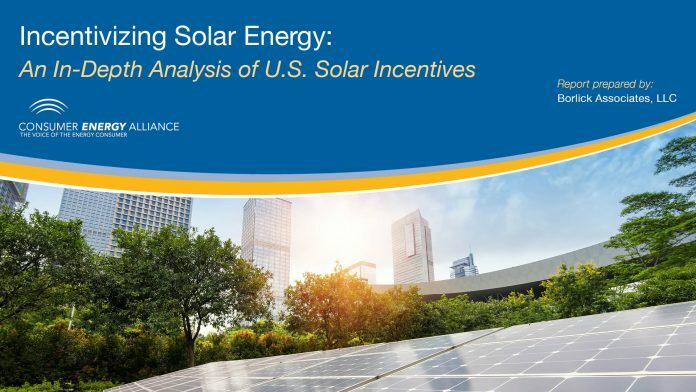 This report relies on public data and a relatively analytical, conservative approach to quantify the most common incentives for solar energy. To review the full results of this analysis and a copy of the report, please visit solarenergyfuture.org. To read the executive summary, please click here.